Jim and Diana would like to give you a warm welcome to Pounds Farm. We offer you lovely rooms, comfortable beds and delicious breakfasts. Whether you are planning a few days away or just a single night, you will enjoy a sense of tranquility in an idyllic setting. 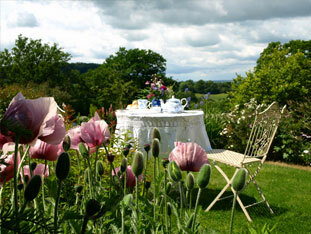 Pounds Farm lies near the Devon and Somerset border on a gentle hillside surrounded by gardens bursting with colour. 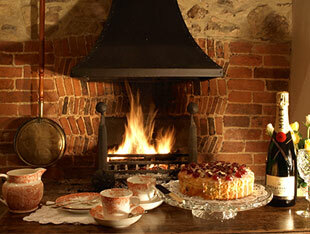 Inside is comfortable and cosy, with polished wood, oil and water colour paintings and armchairs beside the fire. The airy bedrooms have comfy beds with feather pillows and duvets. From your window you can see the flock of geese step out from the pond and over the field. 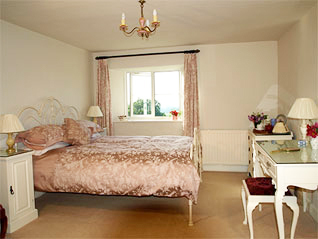 The bedrooms are light and restful with fresh flowers and lovely views. We have one king ensuite and the other rooms have a private bathroom. A tray with biscuits, teas, real coffee and hot chocolate will be ready for you to enjoy and fresh milk is provided. All rooms have central heating, Wi Fi, and TV with DVD. On cold mornings we light the wood burner in the dining room and on fine mornings in the summer, you can enjoy eating your breakfast outside. 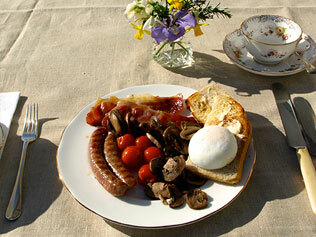 The breakfast menu is free range and locally sourced. Our smoked, dry cured bacon and meaty sausages are from pigs grazing just over the hill and the eggs are from our own hens who are out on grass. We bake bread using high quality flour, Cornish sea salt and our own spring water, and make jams and apple juice with our own fruit. The honey is collected locally and we make our own marmalade. 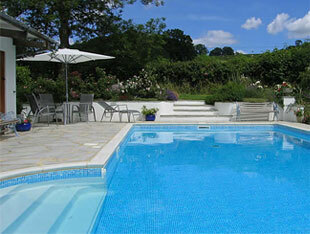 If its hot take a dip or simply enjoy a gentle stroll around the stunning gardens. chocolates, a cake & flowers can be arranged. 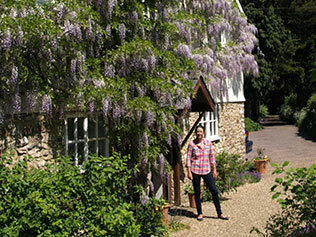 Pounds Farm has been selected for inclusion by Alistair Sawday as a Special Place to Stay.